In the world of inside sales, time management only gets you back so many minutes. It’s sales prospecting tools that save you the real meat of your day. Prospecting tools introduce automation, which grants back time that human behavior can’t. SaaS products find prospects faster, remove manual tasks for sales reps, and prescribe the right messaging. And they’re extremely effective. Reducing non-selling activities like data entry and other manual tasks can increase revenue by 42.85%. Here are the sales prospecting tools top-performing reps identify as a cut above the rest. Tired of spending hours writing out the same emails? Try out our email templates. 1. Email Hunter — Pull a list of emails for an entire company. This tool identifies email addresses for any account you’re looking for. All you need is a company domain. You can search through their chrome extension or enter domains through the browser version. 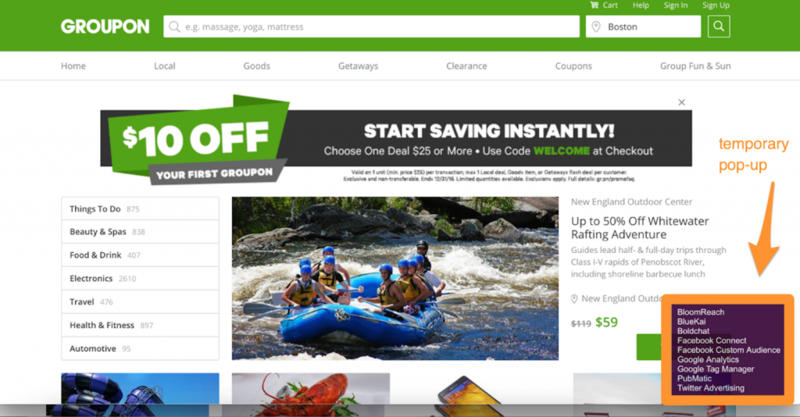 Click here to get started with Email Hunter. 2. Voila Norbert — Send Norbert to find your prospect’s email address. 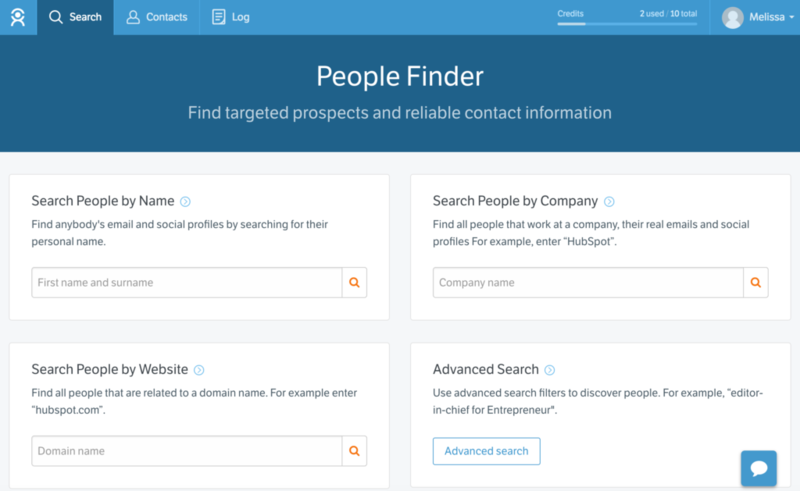 Norbert helps you pinpoint the exact person you’re looking to reach at an account. Enter your prospect’s first and last name, then company domain; Norbert will take it from there. Click here to see Norbert for yourself. Get started with Headreach here. Looking for someone’s email address? With this Gmail Chrome extension, you can identify it in 10 seconds and then one-click-compose an email to them. Just plug in their company name with either their first name or job title. Click here to get started with Clearbit. The best sales prospecting tools for researching your prospect are right at your fingertips. But before we get there, here’s a handy spreadsheet to log your research into. It makes your life easier, and you can use it to send mass emails with personalized messaging (we’ll get to that later). Sending emails shouldn’t be super complicated. But when you don’t take into consideration moving parts like time zone, you risk not reaching your recipient. 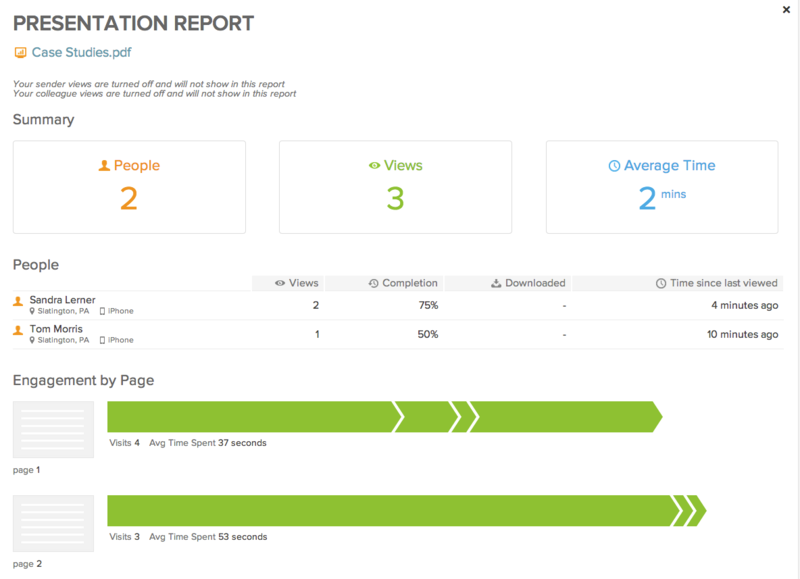 That’s why Yesware created a free tool that shows you a recommended time to send an email based on our data. 6. Owler — Competitive intelligence that keeps you on your game. This is a free browser tool that lets you search your prospect’s Company Profile to reveal competitors, estimated revenue, employee count, funding history, any acquisitions, and news. Click here to get started with Owler. 7. Siftery—Find out what products other companies are using. Get started with Siftery by clicking here. 8. 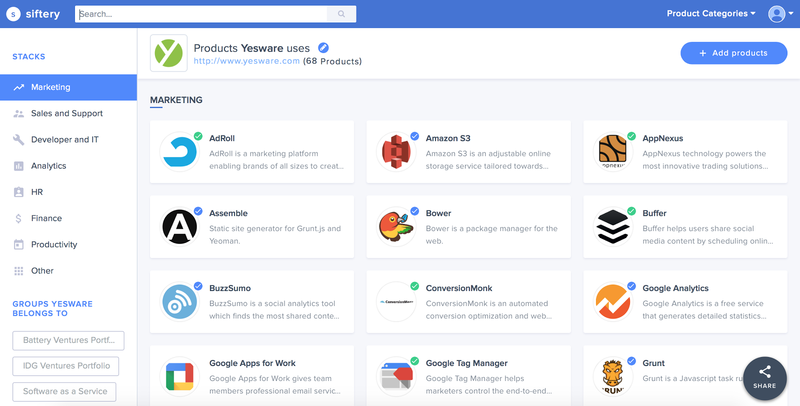 Ghostery—Track the tools being used on a website. Like Siftery, this sales prospecting tool helps you enter into a conversation more informed. SaaS teams install the browser extension to figure out who they’re up against before calling or emailing a prospect. Click here to get started with Ghostery. You know what you want to get out of an email as you go into it, but knowing how to get there can be tough. That’s why there are tools to guide you along the way. 9. 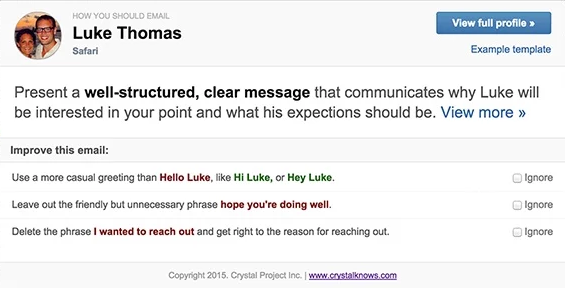 Crystal — Unlock your prospect’s personality profile with the click of a button. Don’t worry about how to personalize your approach, because this plug-in does it for you. Crystal tells you exactly what to do in order to align with your prospect’s working style. Get started with Crystal here. 10. 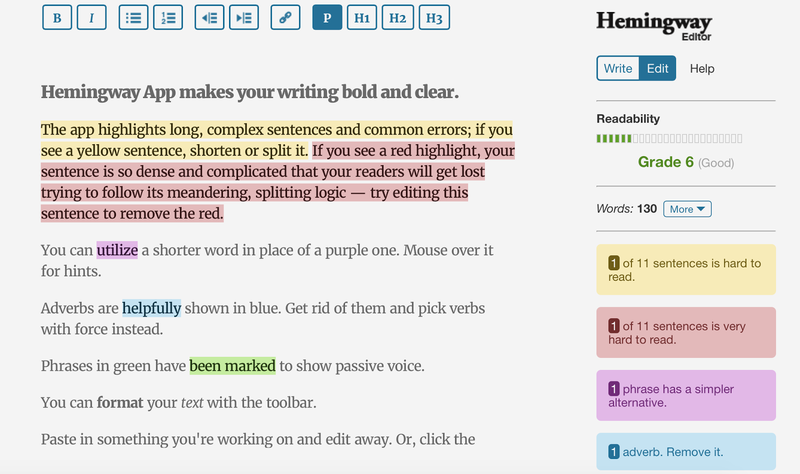 HemingwayApp — Your real-time guide for bold, clear writing. This site does the heavy lifting for you by showing you exactly what to cut and what to change. You can edit your email within the app before copying and pasting into Gmail or Outlook. Click here to improve your writing with HemingwayApp. 11. WiseStamp—Create a free email signature in under a minute. Similar to htmlsig and newoldstamp, this site creates a professional sign-off for you in seconds. Use it to humanize your cold email with a picture of yourself; it’ll make you more memorable. To make a lasting impression with your email signature, click here. 12. Yesware Templates — Press “Send” faster with templates that type for you. What if you could go from needing to write an email to actually sending it without having to write it out or copy and paste from somewhere else? This one plugs right into your Gmail or Outlook mailbox (along with tool #16 below — both are part of a free trial of Yesware). To save yourself time email, check out Yesware Templates. Hint: This tool also comes with email tracking and a Salesforce integration for your inbox. 13. CharlieApp — Briefs that give you a killer first impression. This tool monitors your schedule and gets you info on the people you’re about to meet with. Charlie highlights specific opportunities for compliments or conversation starters, paving the way to a successful conversation. Get started with CharlieApp here. 14. Calendly—Hand over your schedule for your meetings to be booked for you. This tool integrates with your calendar, sends your availability to your prospect, and tracks any calendar changes so your prospect books a still-available time. Click here to get started with Calendly. Get started with Clara here. All of the options above start improving your productivity on Day 1, but the real beauty of a sales prospecting tool is the ability to consistently improve your performance each day. 16. 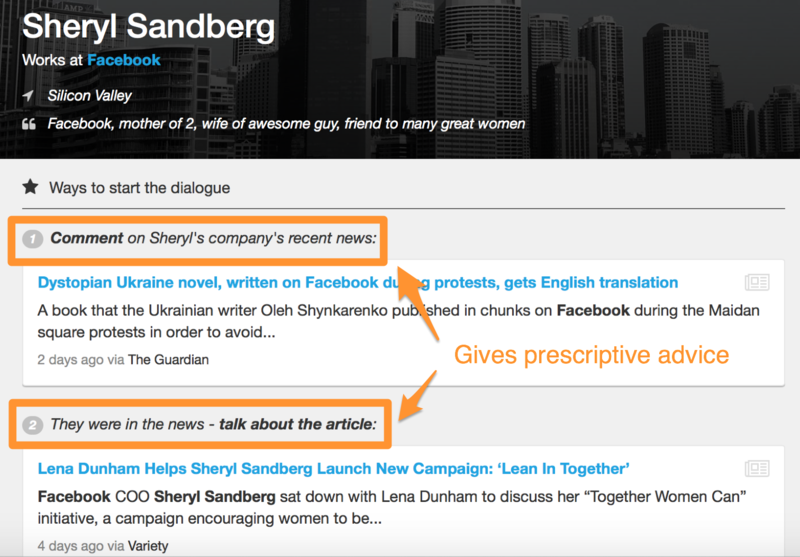 Attachment Tracking—Uncover what interests your prospect most. This tool from Yesware shows you exactly how long each person is spending on the pages of your email attachment. It tips you off to the most compelling elements of your messaging, and helps you cull what you send going forward. And that’s all for now! We recommend that you try at least one of these sales prospecting tools today, and feel free to share any others that we missed! What’s in your sales stack? Tweet us: @Yesware.